No Planning, . No Worrying, . & No Driving. . . Just fun & have a good time. Enjoy the Royal Treatment we provide, ! Once you take a trip with PakTrip.com, you’ll understand why people love to ” Go with PakTrip.com” (online travel & tours). General Information:Its the tours of Muzaffarabad, Neelum Valley tour, Leepa Valley, Bagh & Banjosa Lake.The most beautiful Excellent scenic beauty, panoramic view, towering hills on both sides of the noisy Neelum river, lush green forests, enchanting streams, high altitude lakes and attractive surroundings make the valley a dream come true. 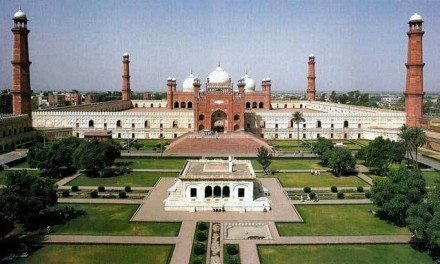 Visit Places: Muzaffarabad, Local Bazar, Red Fort(Muzaffarabad Fort), & Subri Lake ,Neelam Valley, Neelam River, Leepa Valley, Lamnian Valley, Rawalakot,Bagh, banjosa lake. Destinations: Neelum Valley, Leepa Valley, Banjosa Lake, Muzaffarabad. 1st & 2nd Overnight stay at Hotel in Muzaffarabad. 3rd Overnight stay at Leepa Valley Hotel. 1st ,2nd and 3rd Overnight stay at PC Hotel in Muzaffarabad. The capital of the Azad Jammu & Kashmir is situated at the confluence of the Jhelum & Neelum rivers. It is 138 kms from Rawalpindi and about 76 kms from Abbottabad. There are two forts, namely, Red & Black Fort, situated on the opposite sides of river Neelum. Neelum Valley is the green valley that starts from Muzaffarabad and winds along the Neelum river to Athmuqam, Sharda and Kel.The most Excellent scenic beauty, panoramic view, towering hills on both sides of the noisy Neelum river, lush green forests, enchanting streams, high altitude lakes and attractive surroundings make the valley a dream come true. Leepa is one of the most stunning locations.Banjosa Lake is another panoramic view place. it is artificial lake and a tourist attraction. Muzaffarabad after check in visit Local Bazar, Red Fort(Muzaffarabad Fort), & Subri Lake in Muzaffarabad. Neelum Valley is situated to the North & North East of Muzaffarabad. 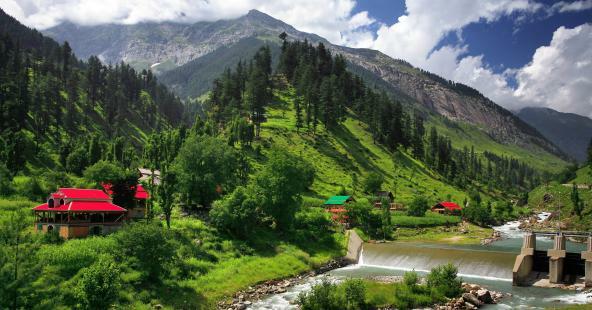 Neelum Valley tours are known for its scenic beauty, hiking tracks. Neelum valley tour includes full day visit of Neelum, jaghran, Sharda via Athmaqam Dowarian Khel and more. These places are natures wonder of beauty and serenity. We will visit during scenic neelum valley tour. Leepa valley this is the most fascinating & loveliest valley. A metalled road branches off for Leepa from Naily, 45 kms from Muzaffarabad, climbs over the Reshian Gali (3,200 m) and then descends to 1,677 m on the other side into the Leepa LamnianValley. Leepa, Dao Khan, Chananian etc are place we will visit. Leepa valley this is the most fascinating & loveliest valley. A metalled road branches off for Leepa from Naily, 45 kms from Muzaffarabad, climbs over the Reshian Gali (3,200 m) and then descends to 1,677 m on the other side into the Leepa Valley. Leepa, Dao Khan, Chananian etc are place we will visit. Rawalakot is a city in Azad Kashmir Rawalakot is the capital of the Poonch District of Azad Kashmir. 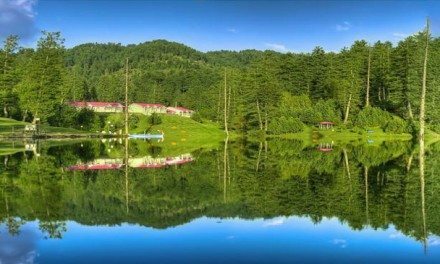 It is in a saucer-shaped valley at elevation 1615 meters, and 76 km from Kohalla.You will also visit banjosa lake a very beautiful place.